Garbo O’Keeffe’s early experiment with desert surrealism contrasted with a recent offering from his foray into the realm of modern expressionism. 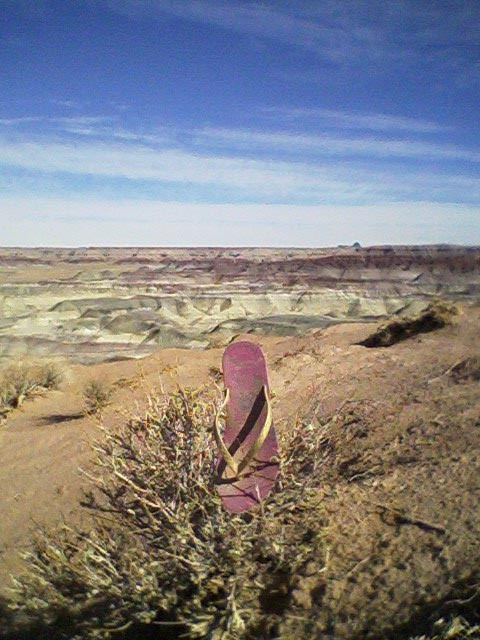 Taken together, they poignantly demonstrate that you can take the flip-flop out of the desert, but you can’t take the flip-flop out of the man. 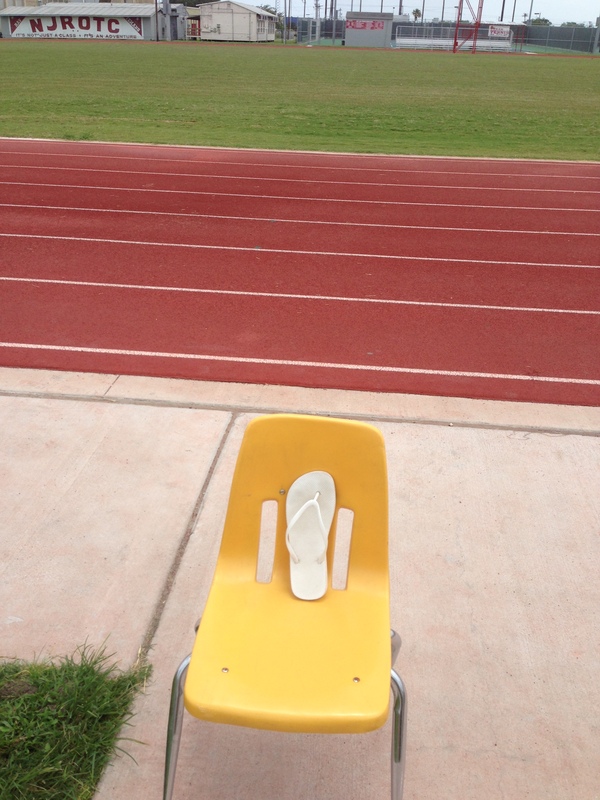 I like this much more than my previous conclusion, that I am simply being stalked by a flip-flop.